A couple months ago, I found online a very useful graphic of the major schools of economic thought. Take a look at it, with this question in mind: Have any of the schools of economic thought shown in the graphic actually resulted in creating a functioning national economy with a large degree of general prosperity and political freedom? An honest, historically informed answer completely contradicts the libertarian / conservative / neoliberal hero-worship of Adam Smith. The original graphic was posted in April 2014. Four months later, the author posted a revised graphic. Note the major addition in the bottom left corner of the revised graphic: the American School of Alexander Hamilton, Henry C. Carey, and Friedrich List. It is a very welcome addition, because the American School is the only school of economic thought that has resulted in creating a functioning national economy. The more I had heard about List in the preceding five years, from economists in Seoul and Osaka and Tokyo, the more I had wondered why I had virtually never heard of him while studying economics in England and the United States. Fallows goes on to describe the historical importance, not of British opium-trade apologist Adam Smith, but of the American School, in guiding the early industrial development of Tokugawa Japan, late imperial China, czarist Russia, Germany, South Korea, and other countries. In a nutshell, the American School is the only body of economic thought which has actually resulted in national industrial development along with a large degree of general prosperity and political freedom. A partial exception is Marx, but, as Lawrence Goodwyn, the late historian of the American agrarian revolt and populist movement of the late 1800s, pointed out, no system of Marxism has been implemented without the coercive power of a red army behind it. So why haven�t you ever heard of Henry C. Carey and Friedrich List, two of the most famous economists of the mid-nineteenth-century? They, and the American School, have simply been written out of the economics textbooks. Did you take an economics course in college, and do you still have the textbook around somewhere? Please, look in the index and see how many references there are to Henry Carey. Or to Alexander Hamilton, who, after all, is the person who designed the foundations of the USA economy�which certainly has to rank among the greatest achievements of the past millennium. Compare what you find with the number of references to Adam Smith, or Milton Friedman. ...a social thinker who had bent the Jacksonian producer ethic to Whiggish ends�. The essence of the �American School� of political economy that Carey created� was the harmony of all �producing� economic groups in America�agricultural, wage earning, and industrial. He denied the �wages fund� theory of the Classical Economists which pitted laborer against employer, and also questioned the relevance to America of Ricardian rent theory�. Carey�s rejection of the �wages fund� theory would be vindicated by Henry Ford�s theory of paying his auto workers enough that they could buy the cars they built, and by the Treaty of Detroit negotiated by Walter Reuther and the United Auto Workers with General Motors in 1950. I would also note something Unger does not: the uniquely American Doctrine of High Wages, which sharply distinguished the USA from European economies through most of the nineteenth century. In America, with its abundant land and untapped resources, there was a community of interests among all the producing classes, and it followed that domestic industrial growth�which [Carey] saw as the country�s most pressing need�was not in the interests of manufacturers alone. Like Hamilton before him, Carey argued that a protective tariff would benefit farmers and laborers as well as manufacturers, and confer a general boon on the nation. Carey�s argument was that excluding foreign manufactures would compel a home market, in which �the anvil and the loom take their place next to the plough and the harrow,� thus producing a market for the bounty of the soil immediately next to where that bounty was produced. And, indeed, by the middle of the nineteenth century, the village blacksmith had become a fixture in every American village and town. Union Iron Works, San Francisco, CA. Wood Brothers Thresher Co., Des Moines, Iowa. The scarcity of capital� made interest high and directed Carey�s fire against the �money lenders.� This assault had a Jacksonian ring, but it was not Agrarian. The money lenders were primarily enemies not of the poor but of �productive� capital. The high cost of borrowing money, Carey wrote before the [Civil] War, �causes a deduction from the profits of the trader, from the rents of houses, from the freight of ships. The owner of money, then, profits at the expense of all other capitalists.� In America, where land was plentiful and financial institutions rudimentary, the money lender was the chief danger to productive endeavor. This attack on the money lender contains the germ of Carey�s specific financial doctrines. Having rejected the Classicial Economists� free trade dogmas, he also rejected their monetary and capital theories. In words that echo the doctrines of his seventeenth and eighteenth-century mercantilist predecessors, Carey declared money to be a part of "capital" and its scarcity the cause of high interest rates. In the American West, he noted, interest charges were prohibitive "because money�the thing for which alone interest is paid�is scarce. In the terms of his time, Carey was in favor of �free banking,� which meant an expandable state banking system which could readily add more banks and bank notes when more money was needed. This was in opposition to Andrew Jackson�s and Thomas Hart Benson�s �simple minded bullionism.� It took its name from the Free Banking Act enacted in the state of New York in 1838, which made it possible to incorporate a bank under general incorporation laws, instead of specific charters granted by the state legislature. Carey and other Whigs viewed free banking as a way to prevent the monopolization of money and credit. They were joined in this support of free banking by Democrats who did not accept �the whole package of Jacksonian dogma� many of Jackson�s supporters were closer to the new aggressive thrust of business enterprise than to the bucolic past.� Unger labels this faction �enterpriser-Democrats,� and they would play a significant role after the Civil War in response to the resumption of a hard gold standard in 1874�the focus of Unger�s book. As Unger discusses, Carey would develop into a foremost opponent of resumption. What I think is important to note here, is Carey�s understanding of money and banks, which, again, was quite different than that of Smith, Ricardo, and the British economists. From this rejection of the Ricardian interest theory flowed Carey's faith in an abundant money stock as a stimulus to the economy. The very essence of prosperity, he believed, was the increase in "societary circulation." In the late 1850's, Carey described the quickening effects of enlarging the coin supply: "The larger the quantity of gold sent to the chief manufacturing centers of the earth the lower will be the rate of interest there�the greater will be the facilities for constructing new roads and mills�and the more rapid those exchanges from hand to hand which constitute commerce and for the making of which money is so absolutely indispensable." But as early as the 1840's he also recognized the identical effects of a highly developed banking system. Implicitly he accepted the mercantilist concept of banks as long-term lenders to industry, as well as short-term Ienders to trade. As the wealth of a country grows, coin becomes increasingly less important, and banks and their note deposits take on the function of adding to the circulation. In New England, where banks were plentiful, money was abundant, interest rates low, and general prosperity prevailed. As a good Whig, Carey supported the Bank of the United States against Jacksonian attacks, but he was primarily a free banker and was actually rather suspicious of money monopolies which could restrict circulation. New England, with its virtually free banking, was a model of adequate societary circulation without excess. Carey gathered around him a distinguished band of followers, who helped disseminate his neo-mercantilist views. Several of these men�E. Peshine Smith, William Elder, and Stephen Colwell�were trained economists in their own right and before the War helped elaborate the monetary doctrines of the American School. Colwell and Elder, along with Henry Carey Baird, Carey's nephew and intellectual heir, became deeply involved in the postwar financial controversy. But Carey himself was to take the leading role in the postwar years in creating an intellectually respectable soft money philosophy. In February 1865 he began an assault on the doctrines of the bullionists that ended only with his death in 1879 at the age of 86. In the course of these fourteen years he wrote over twenty pamphlets�close to a thousand pages�devoted to the currency question, all reiterating with stubborn insistence the financial ideas which he had developed in his earlier works. By 1865 [Carey] had become the chief apologist and unchallenged intellectual spokesman for American heavy industry. His influence was particularly potent among the ironmasters, whose long fight for protection he had come to champion. Carey and Colwell were themselves iron manufacturers, and at the Carey "Vespers"�evenings of talk on economics and politics washed down by good hock�men like ironmaster Joseph Wharton, railroad promoter Thomas A. Scott, manufacturers Robert Patterson and William Sellers, and publisher Henry C. Lea, absorbed the Carey financial philosophy. From Wharton and other Philadelphia iron manufacturers neo-mercantilisrn spread to iron men throughout the country. Daniel Morrell of the Cambria Iron Works and Eber B. Ward, a pioneer western ironmaster, were in close touch with Carey. Morrell, whose iron works at Johnstown were the largest in the country, served two terms in Congress between 1867 and 1871, where he regaled his colleagues with the Carey philosophy. Ward, president of the Iron and Steel Association in the late '60's, was also a disciple and used his great wealth to finance distribution of the Master's monetary writings. Serving as sounding boards for the Carey coterie were several manufacturers' trade associations. 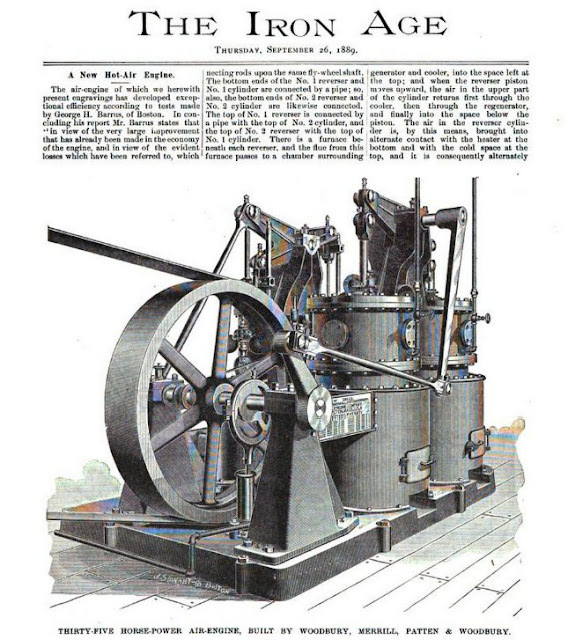 The American Industrial League, launched in 1867, was one of these. The League ostensibly represented all sectors of industry and all sections of the country. Its first president was Peter Cooper, the New York ironmaster and railroad promoter; Ward, a westerner, was a prominent early sponsor. It is worth stopping here to take special note of Peter Cooper, who was one of the richest, if not the richest, man in USA at this time. Born in 1791, Cooper began his career as an important producer class industrialist in 1821 by buying a glue factory at Kipps Bay in Manhattan. Glue factories often exploded when the glue was heated directly by fire. Cooper solved this problem by inventing a double boiler in which direct fire was used to heat water, and the boiling water was used to heat the glue. In 1829, Cooper was elected as Councilman of New York, and worked to bring clean water to the city through a long-distance pipe built across the Harlem river. This successful 1835 project was the prototype of New York�s massive water supply system built a few decades later. Around the same time, Cooper started an business iron in Baltimore. The iron beams Cooper produced were used in the Flatiron Building, the Philadelphia Mint, The Cooper Union, and the US Treasury building. This was the time when the Baltimore and Ohio Railroad was just getting started, and in 1830 Cooper built and operated the Tom Thumb. This was the first steam locomotive designed and built in America, and it helped convince the company and local citizens that steam locomotives were a practical means of pulling trains. The Baltimore and Ohio Railroad became the first commercially successful railroad in USA. In 1845, Cooper invented gelatin desert, which we know today as Jell-O. In 1854, at the age of 65, Peter Cooper began construction of the Cooper Union for the Advancement of Science and Art. He wanted to provide as good an education in engineering and architecture, as The Ecole Polytechnique in Paris, but wanted tuition to be free. He also insisted that Cooper Union welcome progressive thinkers and ideas, and after the Civil War, Clara Barton and Susan B. Anthony had their offices there. In 1857, Cooper bought control of the North American Telegraph Company, which would eventually become American Telephone and Telegraph, or A T and T. Cooper then played a key role in the design and laying of the first transatlantic cable. During the Civil War, Peter Cooper was among the first to buy war bonds. More importantly, he supported and promoted the issuance of paper money by the United States Treasury. This broke the stranglehold of the big banks in Boston, New York, and Philadelphia. These currency notes, issued by the national government instead of private banks, became known as Lincoln�s Greenbacks, and made it possible for the Union to pay for winning the war. When these Greenbacks were replaced by the hard money of gold in 1873, farmers and small industrialists around the country suddenly could not get money or credit, and the economy collapsed into a depression. This is the focus of Unger's book. In addition, Cooper revived George Washington's idea that bankers and stock brokers should be excluded from Congress. Cooper did not win, and millions of people would be forced to suffer through a number of financial crashes and economic depressions. But Cooper and the Greenbackers would be vindicated in the 1930s, when their policies were adopted and implemented by Franklin Roosevelt and the Democratic Party in response to the Great Depression of 1929.